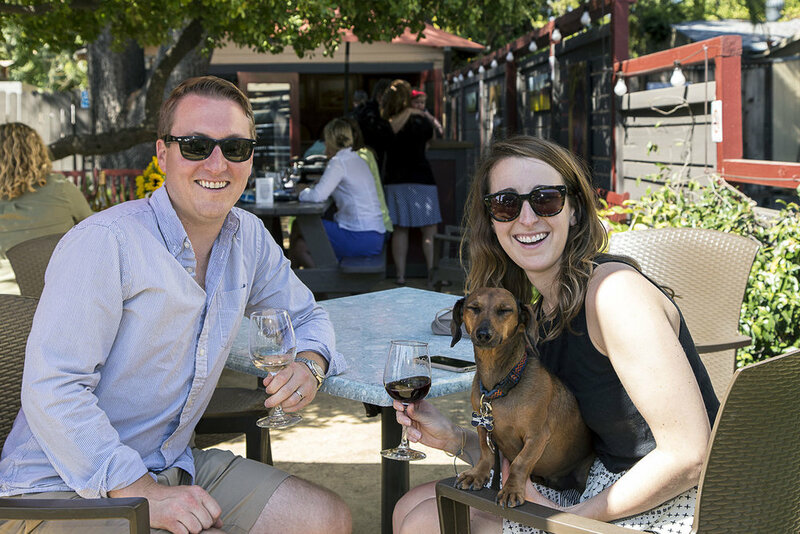 Our family’s downtown Sonoma Tasting Room is housed in a lovely 1940’s craftsman style building that offers a relaxed but intimate environment for both indoor and outdoor get-togethers. 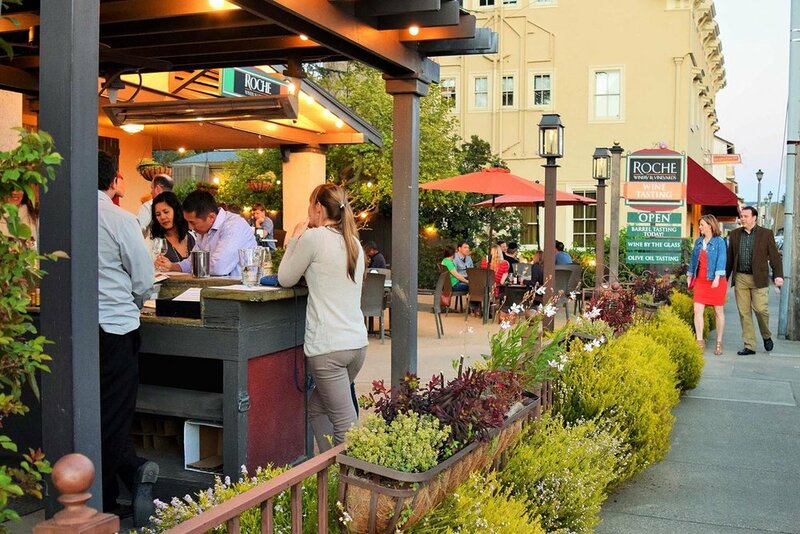 Let us host your guests at our indoor bar or outdoor bar while seated and relaxing on the porch overlooking the square or in our shaded garden patio where they can take in all of the action of downtown Sonoma. This location is just steps away from wine country shops, hotels, and restaurants. The downtown Sonoma Tasting Room can comfortably host wine tasting groups of various sizes. On our outdoor patio, we offer restaurant-quality seating and furniture for over 60 guests. However, we can also accommodate banquet style seating with round tables or other customized event layouts to host even a great number of seated guests for your tasting. 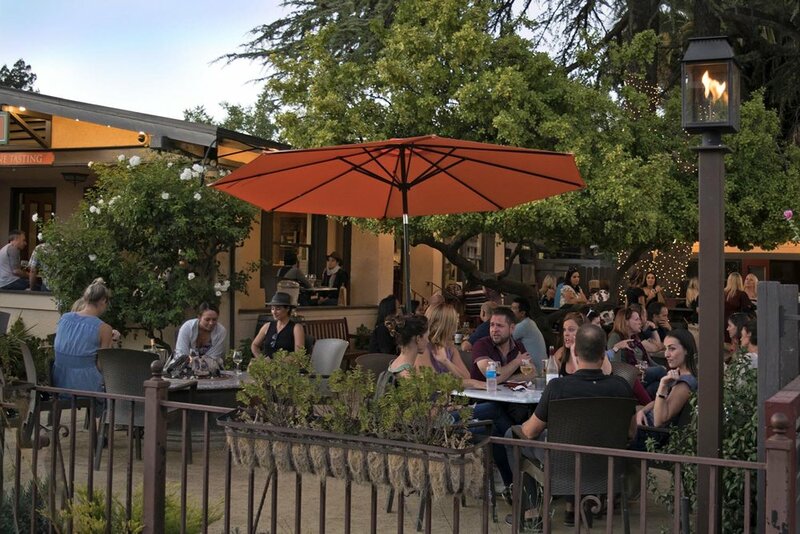 The outdoor bar is covered for shade protection and equipped with a ceiling fan to provide shade and maximize the comfort of your guests even during the warmest of Sonoma days.